Do a cave tasting. If it’s pouring outside, why not venture where you won’t even see the outdoors? A number of local wineries offer cave tours or tastings, which is a great way to experience a winery beyond its tasting room. Some of the caves are quite new, while others are historic – some dating from the 19th century. Try Vine Cliff Winery, Stag’s Leap Wine Cellars (this one even has a Foucault pendulum! 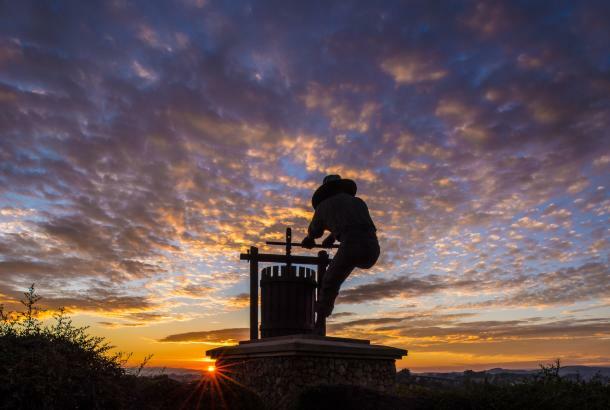 ), Jarvis Estate (45,000 square feet), or Del Dotto Vineyards. Take a leisurely railroad journey. During inclement weather, there’s probably no better way to see the beauty of this place than on the historical Napa Valley Wine Train. 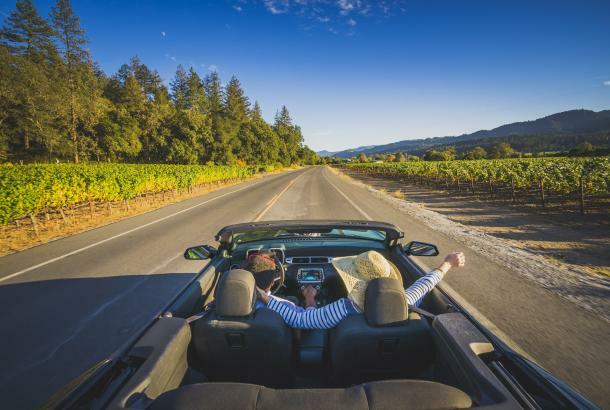 Its route goes straight up the middle of the valley through 16 appellations, from downtown Napa to St. Helena, a three-hour round-trip. During early spring, the vineyards are filled with brilliant yellow mustard, and the fruit trees are in bloom. 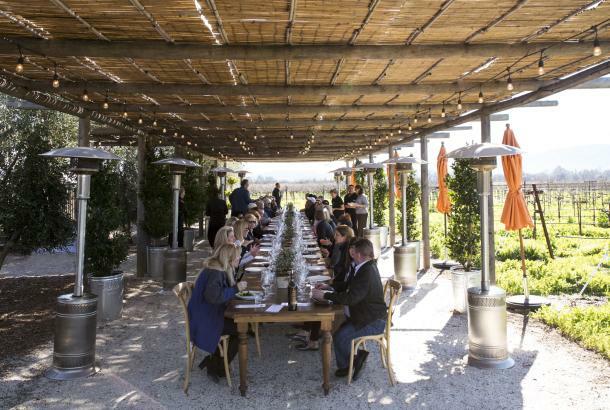 There’s a range of elegant dining options, all with excellent local wines, of course. Visit a food hall. The Oxbow Public Market in downtown Napa is a great way to spend a morning browsing shops like Napa Bookmine, Whole Spice, Napa Stäk, or the Olive Press, then sitting down for lunch at any of the crazy-good food purveyors – from C Casa for high-end Mexican to Eiko’s for Japanese to Hog Island for oysters. All inside, with a view of the Napa River. Get a massage. Or a facial. Or a mudbath. 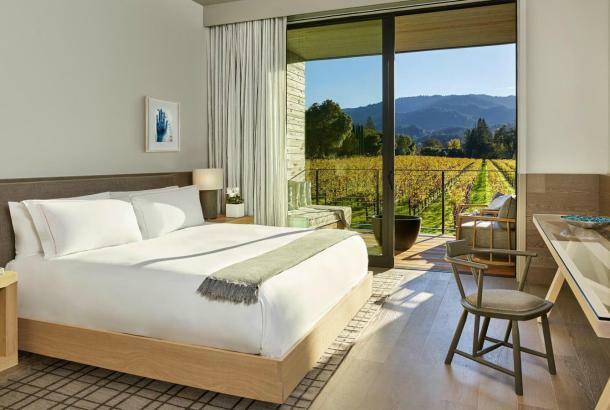 Napa Valley is home to countless resorts and spas, all of which offer great treatment menus. 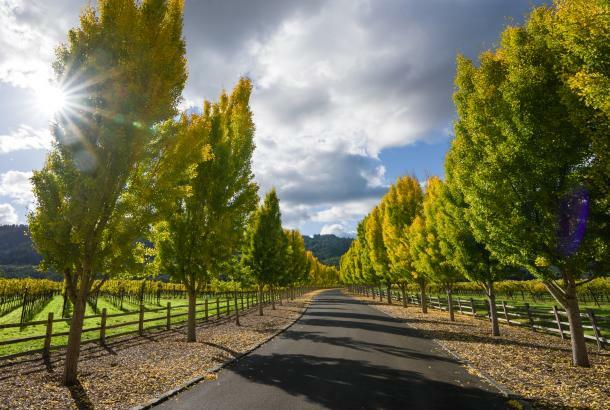 In Napa, try Spa Terra at the Meritage Resort, the Spa at Napa River Inn, or Napa Spa at the Westin Verasa. 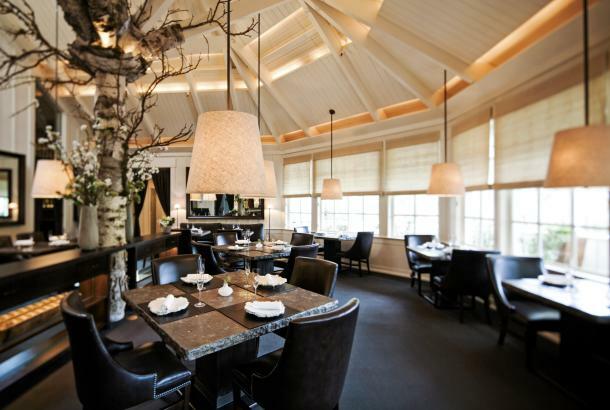 Mid-valley, check out Spa Villagio in Yountville, or Health Spa Napa Valley or MeadowoodNapa Valley in St. Helena. And if you’re up for the local specialty, the thermal mud bath, try Dr. Wilkinson’s or Spa Solage in Calistoga. See some great art. Are you a fan of contemporary art? HALL Wines, the Hess Collection, Napa Valley Museum, and di Rosa all have extraordinary collections and exhibits. Are your kids “climbing the walls”? If you’ve got younger kids who are getting antsy, head over to the Rockzilla indoor climbing gym in Napa. From slabs and arches to boulders and chimneys, the whole family can get their wiggles out and burn some calories. Then head over to Main Street for some excellent pies at Azzurro Pizzeria e Enoteca or Velo Pizzeria. 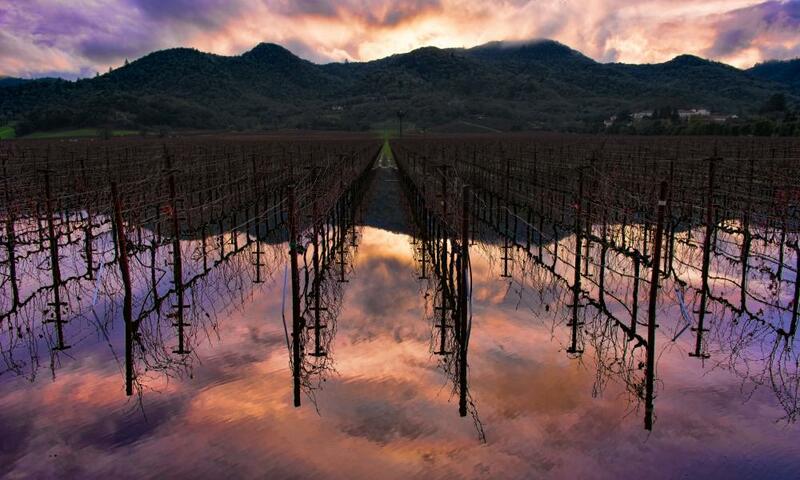 Rain or shine, it may just be the best day you’ve spent in the Napa Valley after all.